You’ve probably seen these at the airport and laughed at the thought of them. The box alone looks like something you might see on the shopping channel. 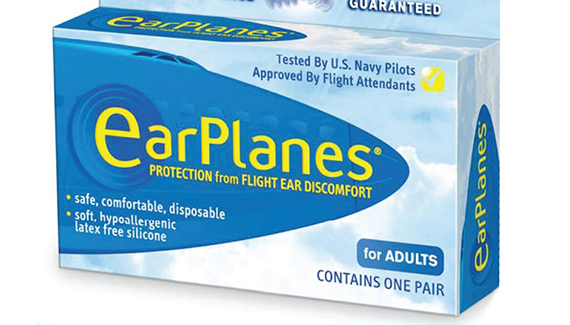 But laugh no more, because these ear plugs do actually help to prevent your ears from popping while you’re miles high. Ok this is a joke. But it works for airlines that still are stuck in the eighties. At higher altitudes, it’s much more difficult for your body to digest foods that are high in fat and sodium and can lead to nausea. So drop the cheeseburger and fries before you depart and go for a yogurt instead. It can help aid in digestion. Trust us on this one. Especially on a really long sector. Dry air and high cabin pressure dull taste buds on aircrafts so in-flight meals often remedy this with extra salt. Opt for the vegetarian option because it has less salt and it’s healthier for you (and nicer to animals). Plus you’ll usually get your meal quicker which is always a bonus, especially if it’s a night flight and you want to go to sleep faster. 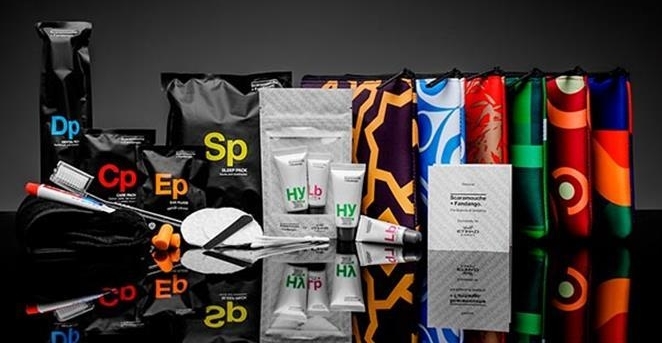 These are the Business Class amenity kits on Etihad Airways. Nice aren’t they? Sadly you won’t be getting one of these when you fly economy. Instead, take your own personalised version to keep refreshed with a good moisturiser, lip balm, face wipes, eye mask and a toothbrush and toothpaste. A good Shea butter hand cream is also a great idea, as are earplugs if you didn’t buy the ‘ear-planes’ in tip 1. Make sure everything is under 50ml and pop it all in a plastic bag (ideally zip locked) so you can breeze through customs without any hassle. 6. Or… Why not skip liquids all together? Just add water and these sheets can do everything from clean your clothes to wash your hands. 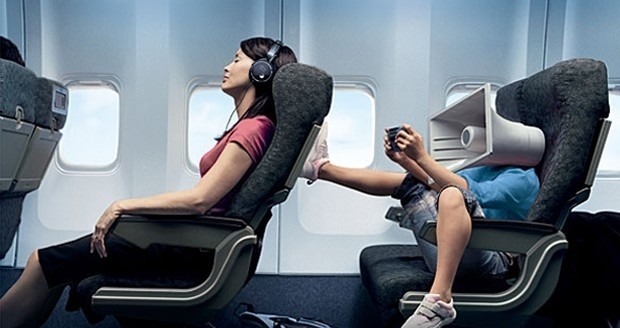 You’d be amazed at what you can do to pass a long haul flight these days. 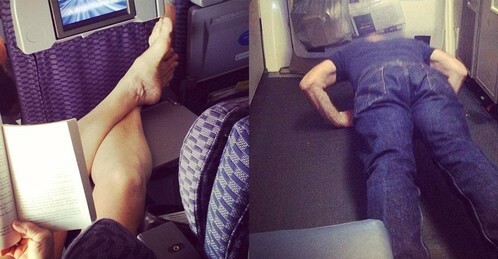 Not all airline seats are created equally. Emergency seat exit seats don’t recline, but also have more leg room. Bulk head seats often come with babies included in the seat next to you. Everyone has their preference – window? Or aisle? No-one wants the middle seat. It’s always a good idea to ask how full the flight is and opt for down the very back as the plane is usually filled from the front or middle. Often you can score an entire row on a less busy sector if you ask nicely at check in. Stretch out time. The golden rule here is – Be nice to the check-in staff and the cabin crew. In fact just be nice to everyone and you’ll go far. Your saving grace. You’re welcome. The price of noise cancelling headphones has come down a lot over the last few years. These days you can pick up a pair from anywhere between $150-600. If you travel frequently (and for use at home too), this could be the best purchase you ever make. 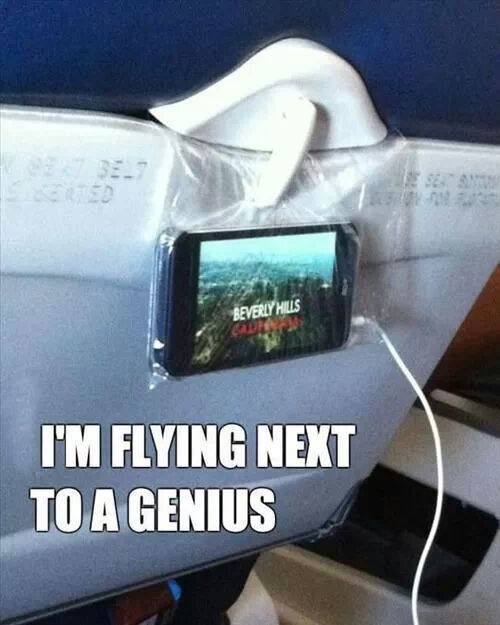 These days, most airlines have pretty good entertainment systems that everyone can watch, regardless of their seat. Some are awesome, some are good but many still, are woeful. 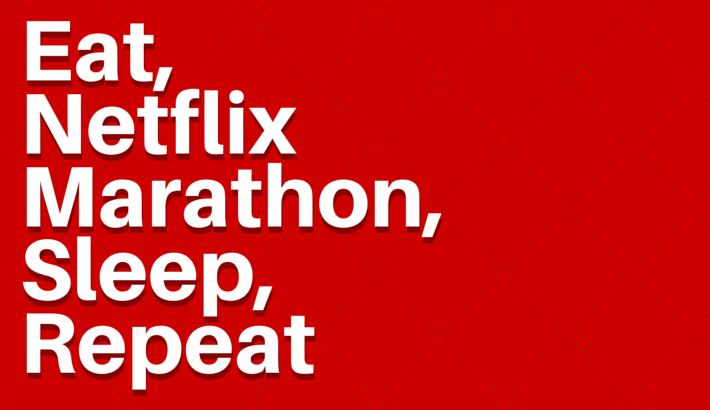 So make sure you download (over wifi at home) all of your favourite shows across Netflix, Stan etc. to your devices before you set off so you’re covered. Same goes for music if you’re a Spotify or Soundcloud user. What’s your top travelhack for making flying in the main cabin a little bit more pleasant?